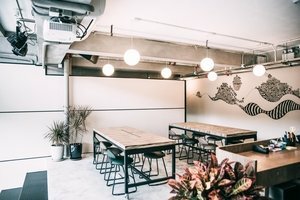 Situated in cultural Sai Ying Pun close to MTR station, this cultural 530 square feet loft is an excellent location for Corporate Events and Evening Events. 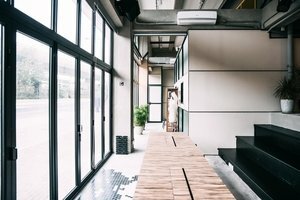 With a tasteful frontage and welcoming display windows, this pop-up space offers good visibility and it is filled with a well-lit natural light. This smart space for pop-ups is warm with art-deco interiors of polished concrete floors and wood panelled. With extensive windows and a luminous atmosphere. With chairs and tables, a projector and a sound system, this pop-up space is well-equipped for corporate events and private events. 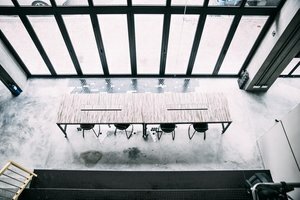 The unique office area and cosy room add a unique feel to the pop-up space. 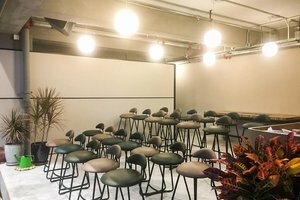 Situated close to MTR station and surrounded by trendy galleries and innovative businesses, this cosy loft is well-located for corporate events and pop-ups.